Somehow I got from Art Nouveau to this. 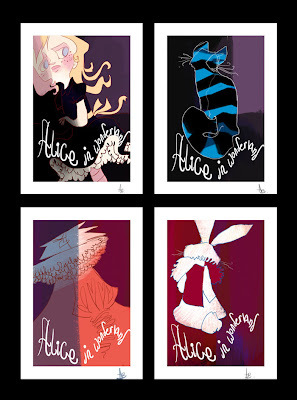 And I realized...you can never over-do Alice in Wonderland. Really nice work Anna! How is BC treating you? The cat one is my favourite!